Some of you may know, I do have a weakness for doughnuts so I decided to make some homemade baked doughnuts instead of running to the nearest bakery. I must say they were delicious. It was a little more difficult to get them the shape of a real doughnut with a hole but we improvised. 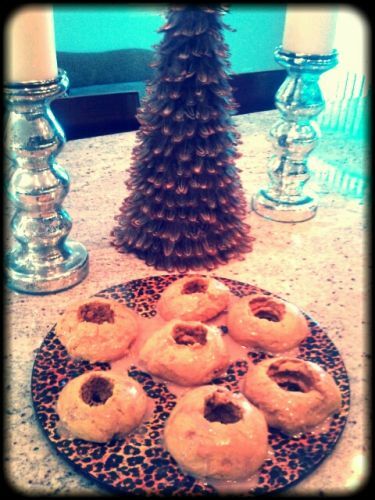 Thanks ‘Weelicious’ for the Baked Pumpkin Doughnut recipe! Had to snap a shot before the boys devour them.